I maintain our patients’ accounts to ensure accuracy and promptness. While they may not be most people’s favorite thing, I love numbers! And I have an Associate’s degree in accounting to prove it! The best part of working here is by far the people. Everyone, from Dr. Balhoff to our staff to our patients, is funny and easy to get along with. They make each day pass quickly and with a smile! I am married with two kids named Miya and Hunter. We live in the country with a puppy named Remi. I love hanging out with my friends and spending time with family. The more people I’m around the better! I love to laugh and have a good time! 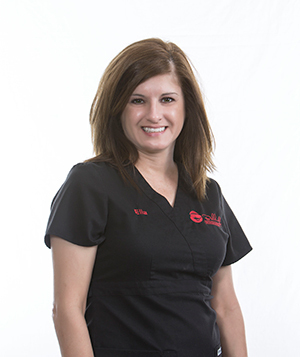 I work to the best of my ability to provide the very best care to our patients. It is so rewarding to see our patients’ self-esteem and confidence grow as they progress through treatment. Even the shyest patients really come out of their shells! 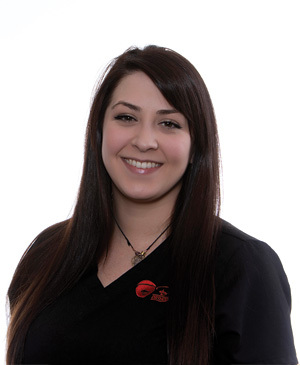 Our patients deserve perfection, and that’s exactly what our team strives to deliver each and every day! I am married with one son, and I love spending time with family and friends. My other interests include being outdoors; working in the garden, fishing, and mowing the lawn! I’m from Lafayette but I grew up in Cecilia, and graduated from Cecilia High School in 2002. Then I attended Acadiana Area Career College to become a dental assistant in 2010. I work with Dr. Balhoff on all new patients and observation patients to ensure that they have the best experience as possible! I also meet with patients and parents about the various treatment options that will best suit themselves or their children based on their unique needs and goals. I coordinate the financial terms of the treatment to ensure the treatment terms fit within the patient’s budget as best as possible. The best part of my job is definitely the people—both our patients and my coworkers! I love them all, and they’ve become like family to me. I married my husband Drew in 2014. We have three girls named Eugenee, Graci, and Sabyn, two dogs, and a cat. I enjoy hunting, fishing, swimming, going to the camp for the weekend, reading books, and spending time with family and friends. I am so happy to have joined Balhoff Orthodontics and the wonderful group of people who work so hard to make our patients smile! I get to work directly with our patients as I assist Dr. Balhoff with their smile-creating treatments. Seeing the finished results of beautiful, straight teeth is the highlight of my days! My husband Chris and I have two kids, Gaige and Aiden, as well as two dogs, Maverick and Pearl. When I’m not in the office, I enjoy camping, fishing, boating, and hiking. 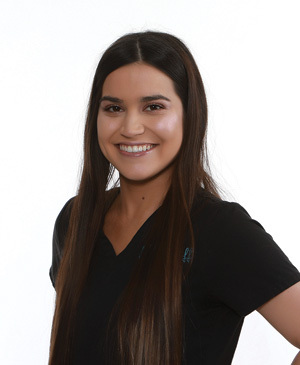 I graduated from the Dental/Ortho at Academy of Acadiana and joined Dr. Balhoff’s team in 2017, where I assist Dr. Balhoff with all orthodontic procedures and ensure that our patients have a great experience. I love watching the progress and final outcome of our patients’ smiles, and being a part of such an amazing team! Everyone is eager to help in our patients’ smile journeys. I am an avid art and animal lover. I have two ferrets named Mugen and Cleopatra. My hobbies include cycling, anime, video games, reading, and distressing furniture. I am a graduate of Acadiana Area Career College and EDDA Certified. 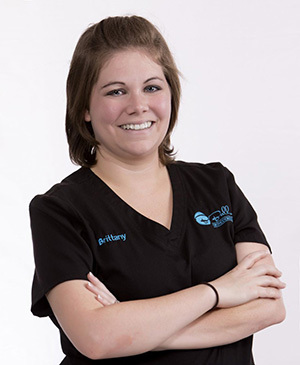 I was first a part of Balhoff Orthodontics from 2014 to 2015 when I briefly moved out of state. When I returned in 2017, it was with open arms! Everyone here works as a team and it’s a great work environment! I am responsible for keeping our lab organized, making retainers, and pouring models for retainers and appliances. There is nothing better than seeing a patient’s smiles transform. I have a wonderful husband of three years, Jonathan, and a son named Alexander. When I’m not at work, I have a photography business that I operate on the weekends. I brought my knowledge and experience in finances and marketing to Dr. Balhoff’s office in 2018. I invite new patients to our practice, build relationships with local dentists, maintain social media/advertising, and create fun contests and events for our patients. 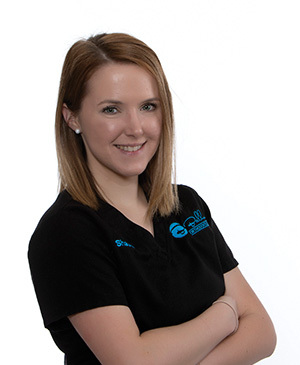 I enjoy getting to know our patients and their families and watching how excited our patients get when they see start to see the results of their teeth moving! Everyone at Balhoff Orthodontics is always willing to step up any time someone needs a bit of help and everyone treats each other like family. It’s a great place to spend my days! I’ve been with my fiancé Tony for almost six years. I have a sweet little boy named Madden and a blue heeler named Banzai. I enjoy festivals, camping, cycling, and music! I am a jack of all trades and have a few home businesses, as well as help local bands and music venues with their marketing.